I need help clearing a cloudy pool. Yes, I watch the gage, it goes from 16 to 17 psi. I have been back washing at 20-21 psi, then put the DE in again. I'm sure it's just time, at least it's not green! I have been having the same problem. I added DE (enough to raise my PSI 1) to try and clear the cloudiness. However, after adding I lost return pressure. I had to back wash to get the pressure back up ( I have had to do this three times since adding the DE). I am 2 weeks into a slam (pool was pond/green) I now have about 2 feet of visibility with no real change over the last week. I can't seem to meet all the SLAM criteria. I pass the over night FC test but still loose chlorine throughout the day. HELP what am I doing wrong?!? You don't need to bother attempting the OCLT until the pool is crystal clear and you're doing it to confirm that nothing is in the water still. How often are you testing and re-dosing? I wonder if your filter is undersized or has some issue ? Not sure what would cause you to lose pressure??? Pool is still cloudy... Can finally see the bottom stair. Tomorrow marks 3 weeks of opening slam (it was green, minimal debris). Tonight after the sun went down my numbers are fc 19.5 cc 0.5 cya 30 ya 110 ph 7.6. I added DE Sunday but it dropped my return pressure so ive had to backwash several times. My dolphin escape runs several times a day. Filter is in 24/7. I've monitored my numbers like crazy even ran out of reagent what else can I do? Could you post a pic of your water, please? Id love to this site says I have exceeded quota for pics????? You can become a supporting member-gets you a discount on the test stuff, more pics, a discount at inyopoo.com and more pic storage. 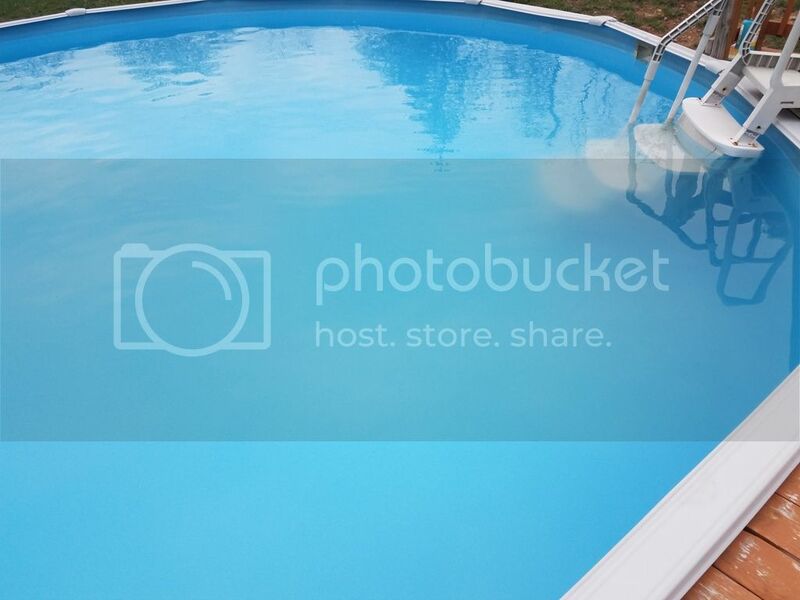 You can also use something like photo bucket using the IMG code to add pics. You are close. Most always, water that close to clear indicates a filtration issue. What is your clean psi? have you backwashed lately? When you backwash, do you rinse? I know you replaced sand no too long ago. Did they/you put in enough? It should be about 2/3 full generally speaking.